Russian missionary to the Jews; born in Orgeyev, Bessarabia, Sept. 23, 1837; died in Kishinef May 12, 1899. He wasbrought up as a Ḥasid, but later acquired some secular knowledge and mastered the Russian language. For a time he practised law in the lower courts of his native town, settling subsequently in Kishinef. In 1878 he wrote a long Hebrew article on the improvement of the rabbinate, which was published in Gottlober's "Ha-Boḳer Or" (iv., Nos. 7-8). This was his only contribution as a Jew to Hebrew literature. In 1882 he founded the sect Novy Israel, and began in a veiled and cautious way to preach a kind of new Christianity to the Jews of Kishinef. Following immediately upon the founding of the Bibleitzy brotherhood by Jacob Gordin at Elizabethgrad, the new movement attracted much attention, and was freely discussed in Russian newspapers. 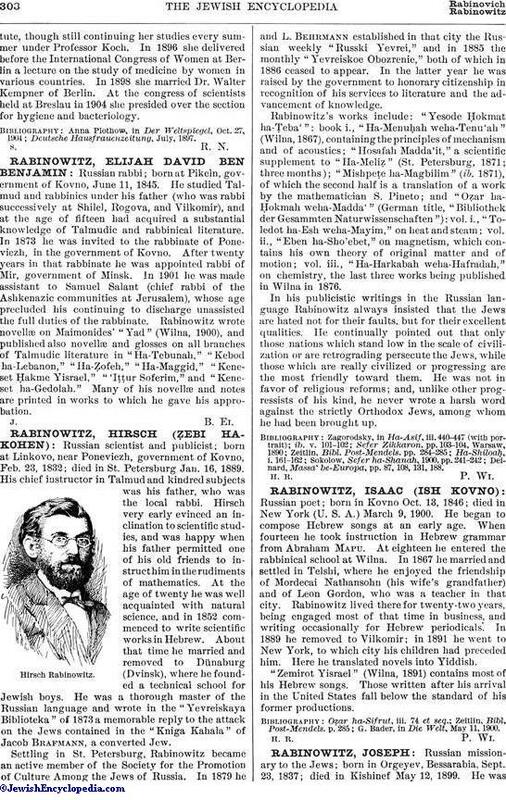 Rabinowitz succeeded for a time in interesting Professor Delitzsch of Leipsic in his movement and in allaying the suspicions of the Russian government, which strictly prohibits the formation of new religious sects. But his open conversion to Protestantism had the natural result of estranging many of his followers. He was baptized in Berlin on March 24, 1885. See Novy Israel. 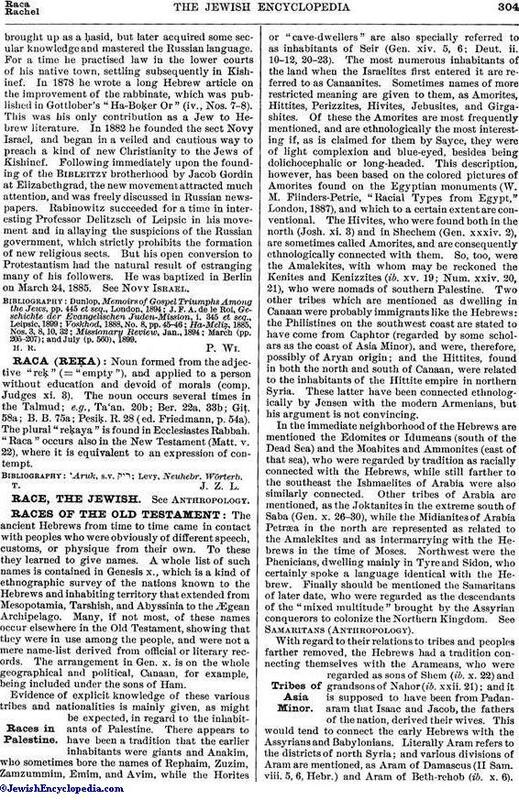 Missionary Review, Jan., 1894; March (pp. 205-207); and July (p. 560), 1899.